As part of my eating better, wholesome lifestyle I have been trying out some new lunchtime smoothies. 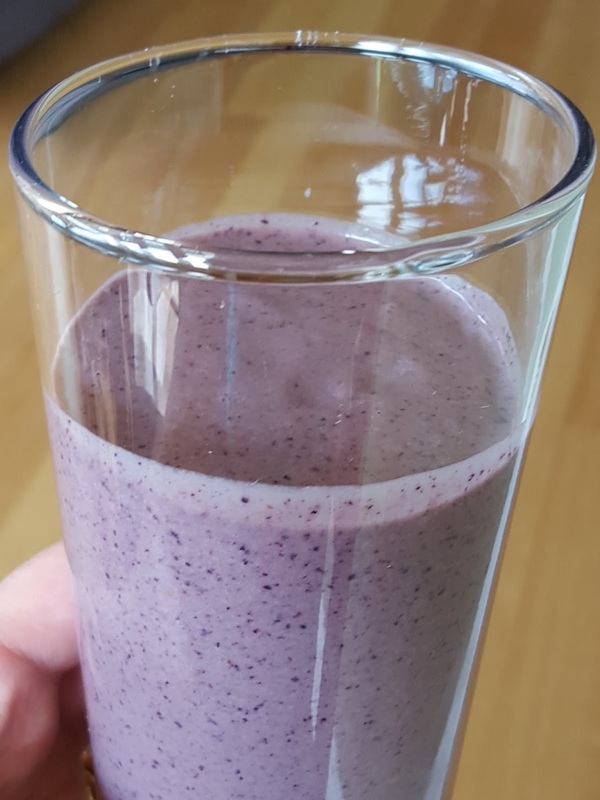 The latest was Sarah Wilson's "I quit sugar" Choc-zilla Smoothie.....but I didn't have Chocolate Protein Powder so I improvised. I basically put it all in my smoothie maker - a cheaper version of a Mix'n'Go - and blitzed it. I had to add some water as mine was a bit thick...probably due to the avocado, as I halved all the other ingredients but kept the 1/4 avocado. My verdict - extremely nutty, perhaps I should have added more cacao or actually used the Chocolate Protein Powder because Sarah Wilson's definitely looks a lot more chocolatey than mine. Tried this smoothie? Would you?